Please join us in giving a warm Anime Central welcome to Ryu ☆ as a 2018 Synergy Performer! Since his debut in Konami’s “beatmania IIDX” series of music games, Ryu ☆ has been a fan favorite dance music creator who has shown no signs of slowing down. He’s known for creating up tempo dance music with catchy melodies that infect the listeners with joy. His work has become some of the most popular in all of Konami’s BEMANI music game series, leading to his membership of their in house record label “beatnation”. 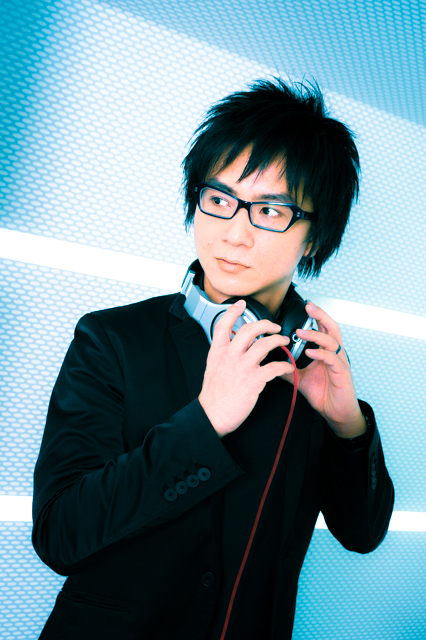 In addition to game & club music, his activities span across J-Pop and animation with tracks like a remix of the Yuri Yuri opening, and the theme for the 11th ending of FAIRY TALE.He also provided songs to popular mobile game “Neko Atsume”’s official CD project, and is known for his work in the production unit “Another Infinity” with Starving Trancer. His career has also included with a variety of other artists including Scatman John, CASCADA, GACKT, predia, Dempagumi Inc. and DJ Doala. His activities don’t end with production and remix work, as he also oversees the development of live events and his own PVs. As his activities in these realms expanded, he created the production label “EDP (EXITTUNES DANCE PRODUCTION)” in 2016 with the concept of sharing Japan’s dance music with the rest of the world. Over the course of his career Ryu ☆ has release 12 albums, including those under his alias Seiryu. In 2018 he released his third best of album “Ryu ☆ BEST -SUNLIGHT-“, and has many other exciting projects on the horizon!